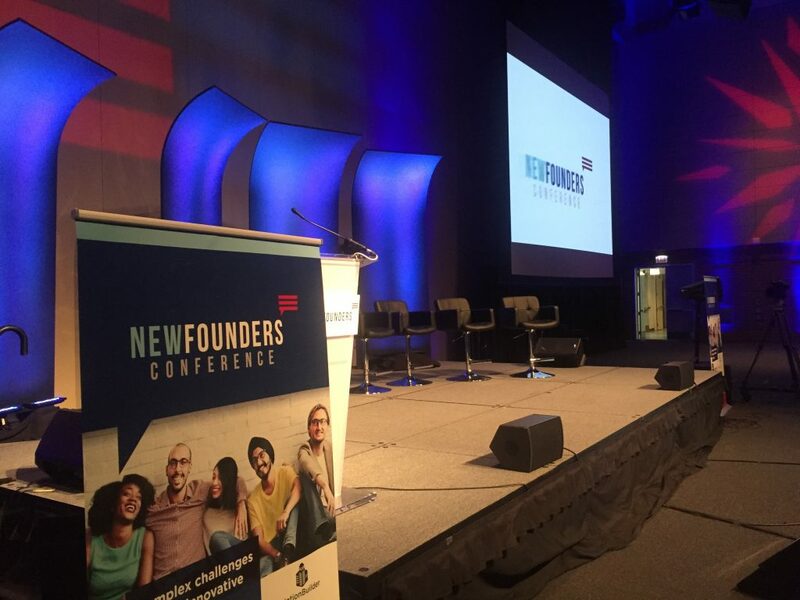 Carmel Creative produces the first ever New Founders Conference. 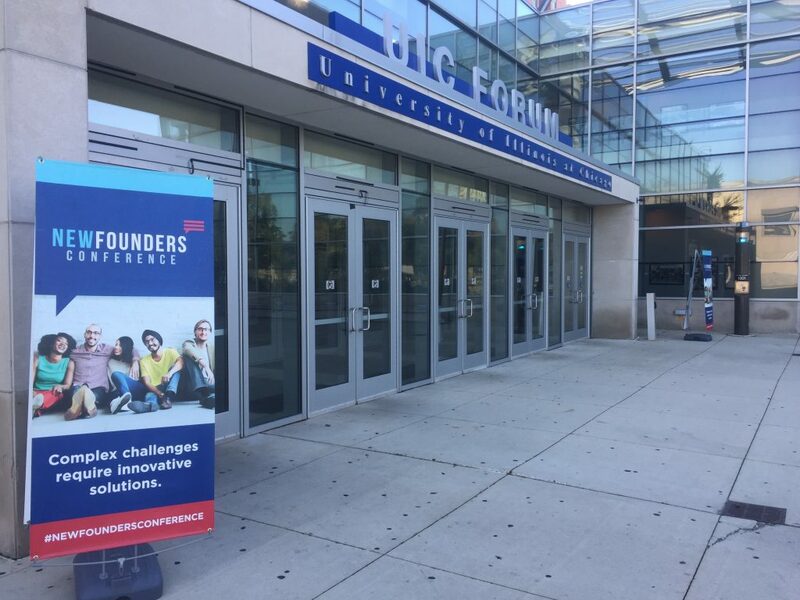 With over 700 attendees, the NewFounders Conference was a huge success! 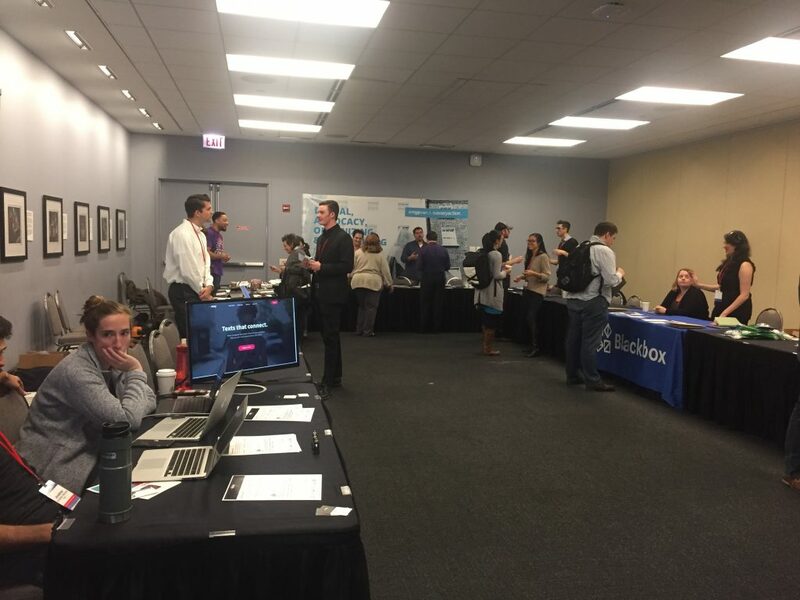 It was great to see so many progressive innovators come together and work towards progress. 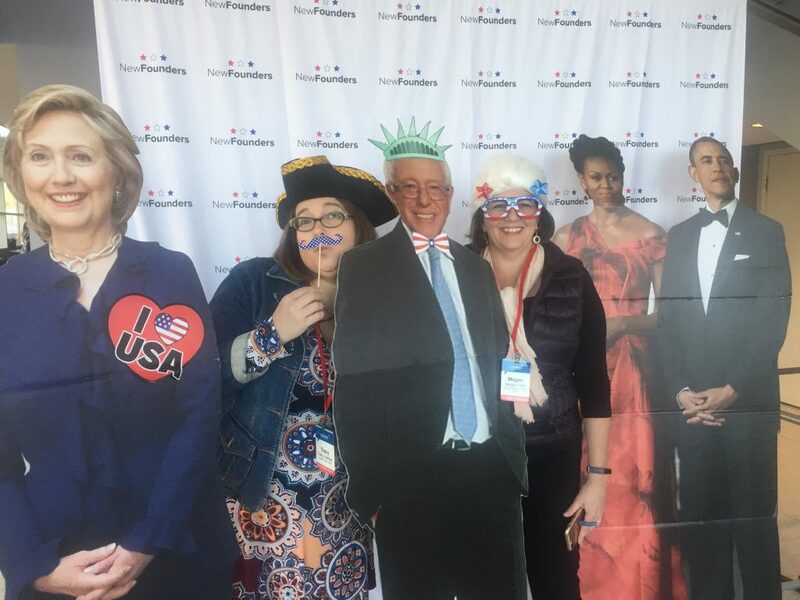 NewFounders is a Chicago-based organization comprised of tech and design experts out of Google, Microsoft, Apple, the Obama 2012 campaign and various startups, with a common goal to inject the best tech and design thinking into politics to reconnect it to people. Led by co- founder Genevieve Thiers, NewFounders’ first tool, the EveryElection app, was launched in July 2017 with over 14 major partners. It features the biggest database of elections in the US and pushes alerts to everyday voters for over 300,000 elections, including name of election, location, incumbent, challengers, deadlines, etc. 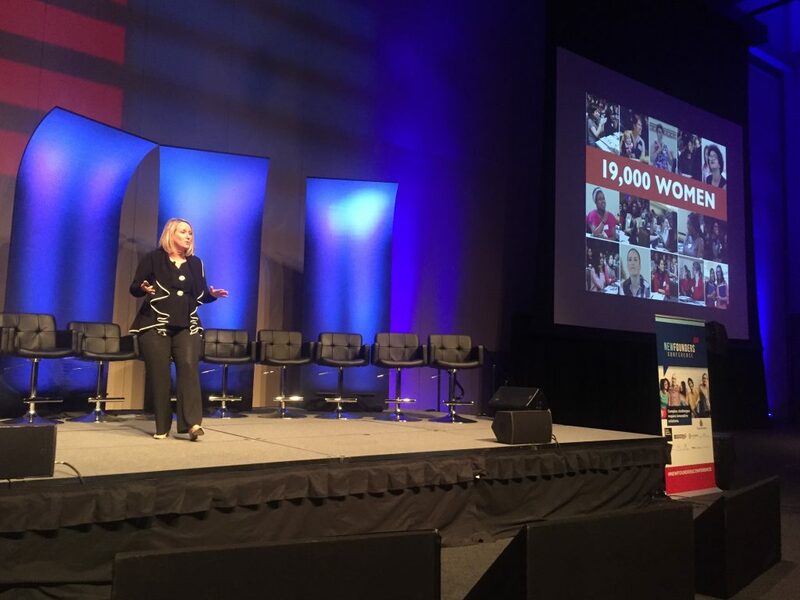 NewFounders launched a new product “Changemaker,” at the conference. Changemaker is a platform built by several organizations, it allows activists to donate to critical projects in addition to forming teams around them. Carmel Creative was brought in as the producer and conference director. 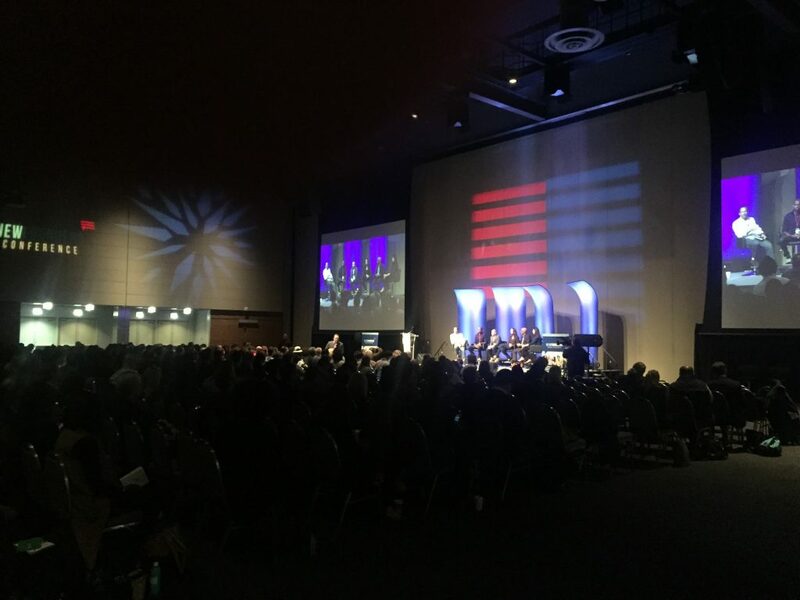 We managed signage, communications, staffing, AV, video production, motion graphics production, printed collateral, vendors, catering, security, registration, and all aspects of the event. 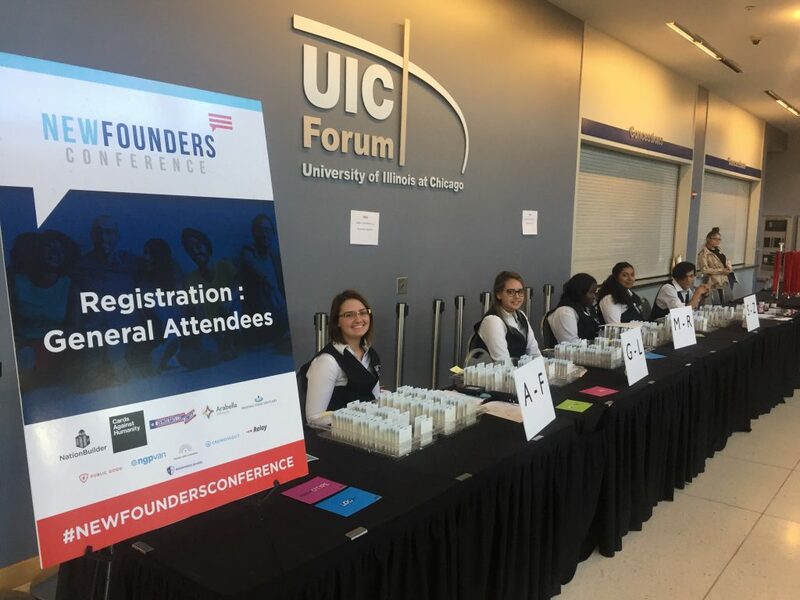 It was an extremely successful first year for the conference with excellent attendance and visibility for the NewFounders organization and their partners.